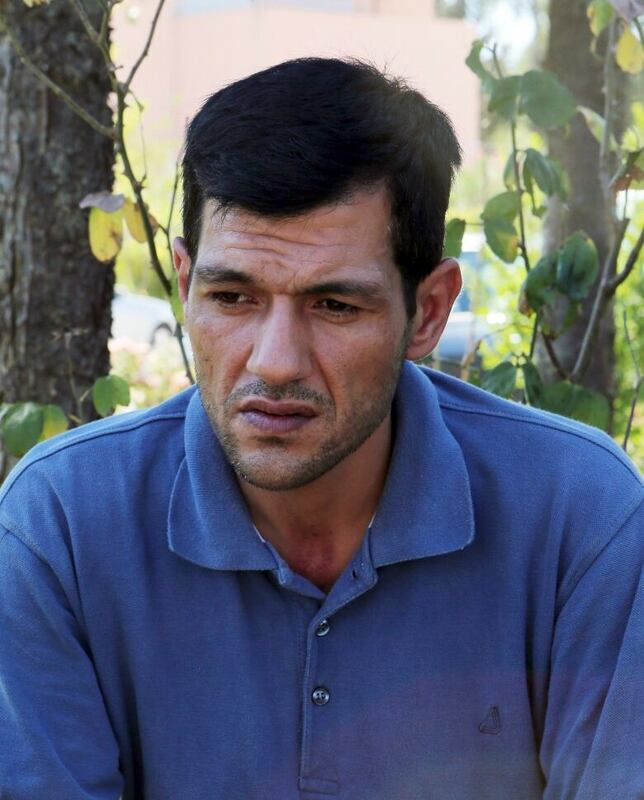 The father of a Syrian toddler whose body washed up on a Turkish beach says his two sons "slipped away" from him after their rowboat capsized while trying to reach the Greek island of Kos from Turkey with several other refugees. The father of a Syrian toddler whose body washed up on a Turkish beach says his boys "slipped away" from his hands after their rowboat capsized trying to reach the Greek island of Kos from Turkey with several other refugees. 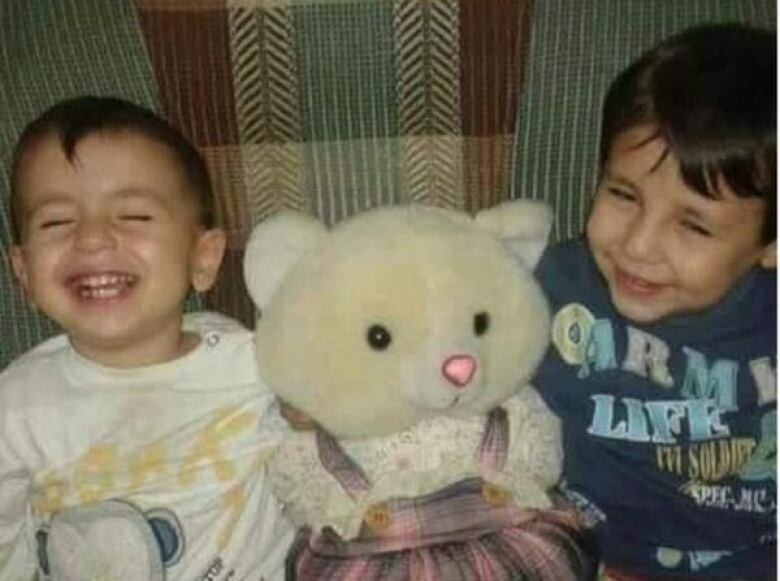 "I was holding my wife's hand, my children slipped away from my hands," Abdullah Kurdi said in a statement to police obtained by the Turkish newspaper Hurriyet. "We tried to hold on to the boat. Everyone was screaming in pitch darkness. I couldn't make my voice heard to my wife and kids." The death of Kurdi's three-year-old son, Alan, who drowned along with his brother, Galib, 5, and mother, Reham, has drawn worldwide attention to the Syrian refugee crisis and placed the Canadian government under fire after it emerged the family had been trying to come to Canada with the help of their aunt, Tima Kurdi. Abdullah Kurdi spoke publicly for the first time Thursday after he identified the bodies of his wife and sons in a Turkish morgue and prepared to take them home to Syria. Kurdi said he got on a boat with 13 people, including the man steering the boat. He said the boat was heavy in the water. "We sailed in the sea for about four to five minutes," he said. "The man steering the boat saw that the sea was high, the waves were high. 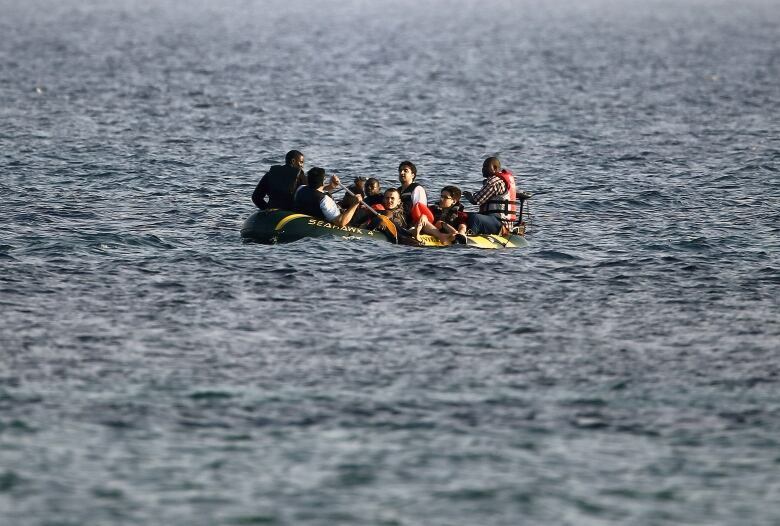 "We were hit by the first wave and he jumped into the water and escaped away. I tried to take over the steering but we were hit by another wave. The boat capsized. I grabbed my children and my wife. But they died." The father said he just wanted "to sit next to the grave of my children and my wife, and rest." Reuters reported early Thursday that Kurdi had said Canadian officials offered him citizenship after seeing what happened, but he declined. But Citizenship and Immigration Canada released a statement Thursday afternoon saying "Canada did not offer citizenship to Mr. Abdullah Kurdi." Kurdi's sister Tima immigrated to Canada several years ago and said she has been trying since at least March to help Abdullah and another brother and their families come to Canada, but Citizenship and Immigration clarified Thursday that no formal application for refugee status was made on behalf of Abdullah's family. "There was no record of an application received for Mr. Abdullah Kurdi and his family," a statement from the department said. The department confirmed that an application was made on behalf of his brother, Mohammed. "An application for Mr. Mohammed Kurdi and his family was received by the department but was returned as it was incomplete as it did not meet regulatory requirements for proof of refugee status recognition," the statement said. NDP MP Fin Donnelly, who represents New Westminster–Coquitlam and is running in the Port Moody–Coquitlam riding in the Oct. 19 federal election, said Wednesday that Tima Kurdi approached his office in March and requested help with sponsoring her relatives as refugees. "She was very concerned, obviously, with what was going on in Syria and wanted to get her family out," Donnelly said. Donnelly said after considering the options, they decided to write to the Canadian Immigration Minister Chris Alexander directly — a letter that Donnelly said he delivered. "[Alexander] promised that he would look into it, to me. I thought … he would actually do it," said Donnelly. "We did get some requests for detailed information about the family from his staff to mine … then nothing." Donnelly said Canada must do more to help and shelter Syrian refugees. "Obviously, this is devastating for the family," he said. "We need to address the situation. We need to look at how we can bring people into our country." 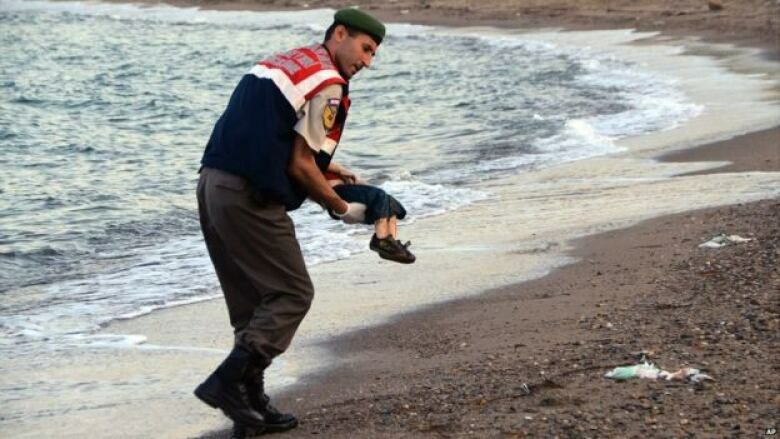 Should pictures of a drowned Syrian boy be shared on social media? UN struggling to get aid to Syrians, Security Council told. More than four million refugees have fled Syria since the civil war began in 2011. There are also more than seven million internally displaced people within Syria. Alexander, who is running for the Conservative Party in the Ontario riding of Ajax, on Thursday announced he is interrupting his re-election campaign in order to address the refugee crisis. In an interview Wednesday on CBC's Power & Politics, he had defended Canada's refugee response while also castigating the media for not reporting more on the migrant crisis. In a statement announcing he is returning to Ottawa Thursday, Alexander said Canada has already resettled nearly 22,000 Iraqis and 2,300 Syrians and has set targets to accept 23,000 Iraqi and 11,300 Syrian refugees. A previous version of this story said the family of Alan Kurdi had applied for refugee status in Canada. In fact, no formal application for refugee status was made. An application on behalf of Alan's uncle, Mohammed Kurdi, was received by the Department of Citizenship and Immigration Canada but was returned because, the department said, it was incomplete and did not meet the regulatory requirements for proof of refugee status recognition.